On April 1th, Doug Fine dropped down from the sky on an American Airlines flight. He drove through the hustle and bustle of Milwaukee towards Titletown (Green Bay, Wisconsin). Hempstead Project Heart had asked Doug Fine to come up for a couple of days to Wisconsin and talk about the American Hemp Industry. 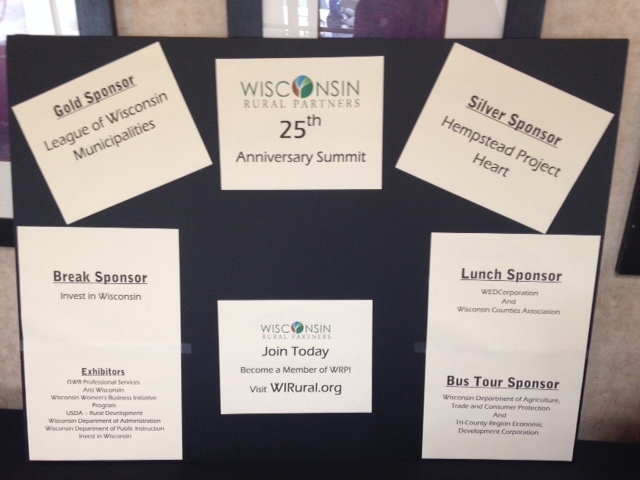 Armed with his 3D printed hemp goat along with hemp protein and his wisdom, Doug spoke at an event held at the Menominee Casino Resort in Keshena and the Wisconsin Rural Partners 25th Rural Summit in Green Lake. Green Lake is in the heart of the once flourshing hemp industry in Wisconsin. Markesan, Fox Lake, Beaver Dam, Waupun, and Brandon were all Wisconsin towns that produced hemp for the United States. 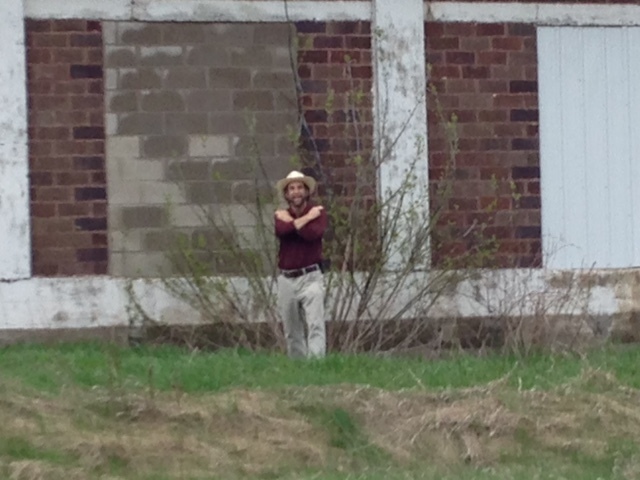 While Doug and Marcus were traveling through Wisconsin, they stopped in Brandon to find the last remaining hemp mill. 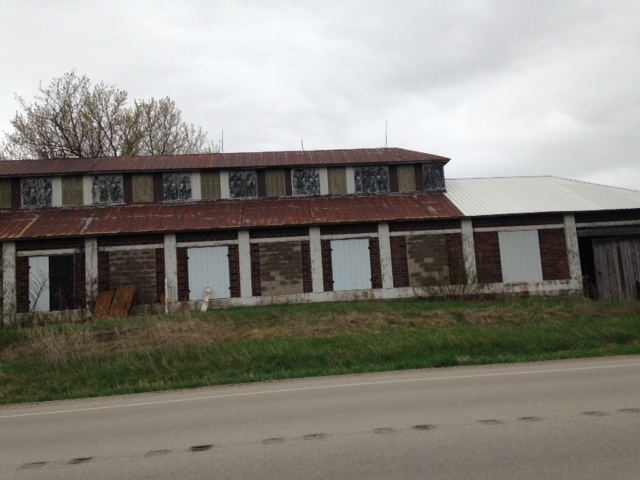 On State Highway 49 between Brandon and Waupun the mill still stands. Doug hopped out of the car and ran over to the building. He placed his hands on the building gently and asked for hemp to come back to Wisconsin. As he turns around, he signs "hemp" in American Sign Language with a big grin on his face. It was on that cloudy day in Wisconsin where Doug and Marcus stoked the embers of the hemp flame that hasn't extinguished in the Midwest. Doug Fine and Marcus teamed up to speak at both events. Marcus educated about the history of Industrial Hemp in Wisconsin and Doug gave first hand accounts of how the current American Hemp Industry is opearting as well as where there could be growth. If you never had a chance to see Doug Fine speak, there is a blend of humor, intellect, and forward thinking to his presentation. Because of his showmanship, Doug has landed a spot on national television with his show The Family Farmer Adventure Hour is about the regenerative, independent agriculture revival that is proving a long-term lucrative economy for farmers worldwide. Hempstead Project Heart's Marcus Grignon, Lucas Humblet, and Meg Forica saw the trailer for the show at the 4th Annual NoCo Hemp Expo. Their take on it was they were laughing so hard their sides hurt after the viewing. The show will premiere in the near future. Keep a look out for the announcement.